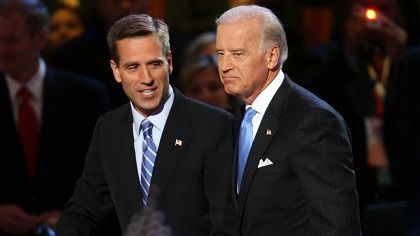 An American attorney, an officer in the Army, Judge Advocate General's Corps, and a politician, Beau Biden was the eldest of three children of the former U.S. Vice President Joe Biden. He died at the age of 46 leaving behind his wife and two children. His death was a tragedy to America. Find out about the cause of his death and his relationship with his wife and family prior to his death. Let's zoom on. 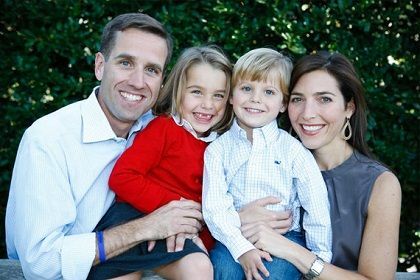 Beau was the eldest son of the three children of Joe Biden and his first wife Neilia Biden. His siblings were Naomi Biden and Hunter Biden. But tragedy soon struck the family. On December 18, 1972, the family got into a car accident which took the life of his mother Neilia and sister Naomi. Beau suffered multiple broken bones and Hunter sustained injuries to scalp but both brothers and his father survived the accident. In June 1977, Beau's father remarried and gave the second mother, Jill Jacobs to the children. Beau had a half-sister named Ashley who was born in 1981. Beau introduced his father at the 2008 Democratic National Convention following the nomination of Joe Biden as the vice president of the United States. In the introduction speech, he recounted the accident which took his mother and sister from this world and told of the commitment, his father had made to him and his brother. The speech made clear that he was proud of his father and made many delegates shed tears. Beau was in a relationship with Hallie whom he proposed on family Thanksgiving in Nantucket in 2001. The couple tied their marital knot the next year. Hallie was by Beau's side throughout his political career and was supportive of her husband when he ran for attorney general of Delaware in 2006 and 2010. The couple had two children together, Natalie and Hunter. Beau experienced serious headaches and was admitted to Christiana Hospital in May of 2010. He was transferred to Thomas Jefferson University Hospital in Philadelphia and kept for observation until May 18, 2010. Beau was admitted to the University of Texas MD Anderson Cancer Center in 2013. He was diagnosed with Brain Cancer and did not run for re-election in 2014. Beau stayed strong all the while despite his declining health but lost the battle against cancer on May 30, 2015. His funeral was held at St. Anthony of Padua Roman Catholic Church in Wilmington, Delaware on June 6, 2015. The death of a great person and the son of the vice president was widely mourned within the U.S.
For all his contribution to the nation, Beau was awarded the Albert Schweitzer Leadership Award, the highest honor given by the Hugh O'Brien Youth Leadership posthumously. His death brought sorrow to his family and to the nation. Hunter and Hallie Together? Dating Rumors True or Not? 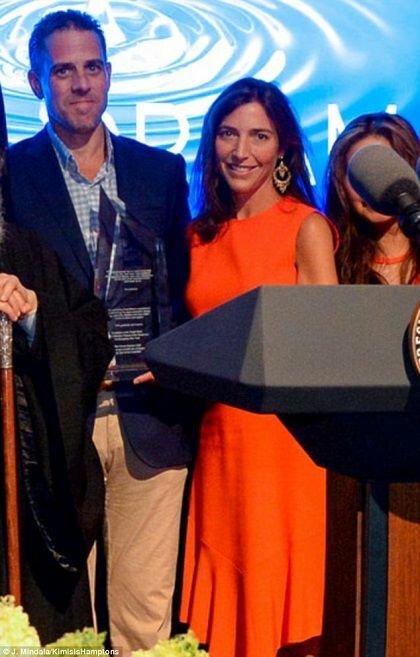 2 years after Beau's death, rumors began surfacing of his wife Hallie to have been involved with his brother Hunter Biden. People were speculating about the rumors but, in March of 2017, Hunter came out to the public stating that the two of them were, in fact, seeing each other and were in a relationship. Hunter was separated from his then-wife Kathleen Biden and was no longer together. Joe who gave up running for the presidency following his son's death seems to be in support for the couple to find their happiness as they shared similar pain which could be healed better if the two of them were together.